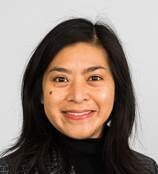 Dr. Louie graduated from Tufts University School of Medicine, and completed her residency training at Tufts-New England Medical Center/Tufts Neurology Program. She completed a fellowship in neuromuscular disease at UMass Medical. She is board certified in neurology and sleep medicine. She is an assistant clinical professor at Tufts University School of Medicine.